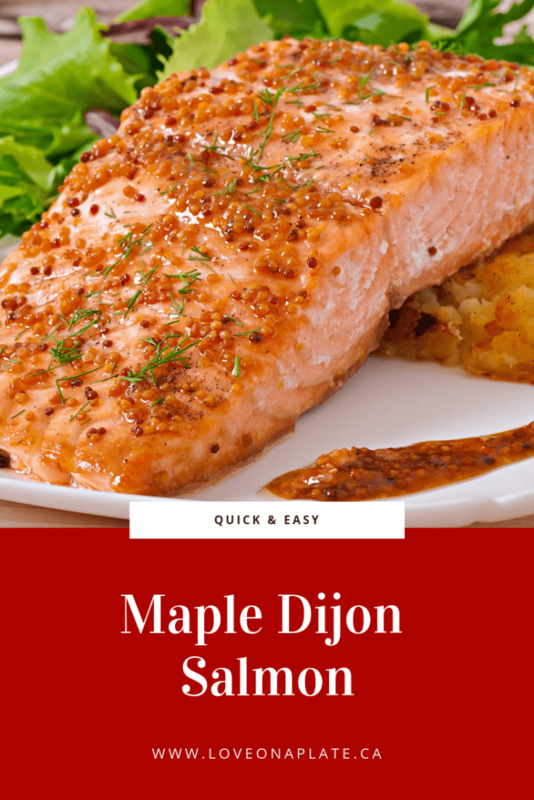 Meal Prep Maple Roasted Salmon is so easy to prepare, but so delicious. Leftovers make wonderful toppings for Meal Prep Salads for lunch or Salmon Salad Wraps. 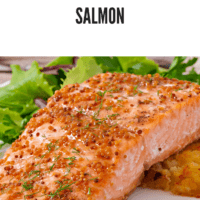 If you shy away from taking fish to work because of the “aroma”, not to worry. Both of the Meal Prep lunch recipes are cold, so no one will be offended. Preheat oven to 400°F and line a large, rimmed baking sheet with parchment paper or a Silpat® mat. Combine the mustard, half the cilantro, and maple syrup in a bowl. 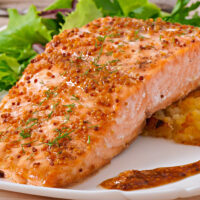 Put the salmon fillets on the prepared baking sheet and season with salt and black pepper, to taste. 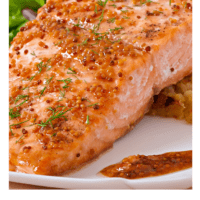 Evenly divide the mustard mixture and spread on each salmon fillet. Place in pre-heated oven and roast until just cooked through, approximately 12-15 minutes. Remove from oven and sprinkle with the remaining cilantro. Serve immediately with a crisp, green side salad and your favorite dressing.